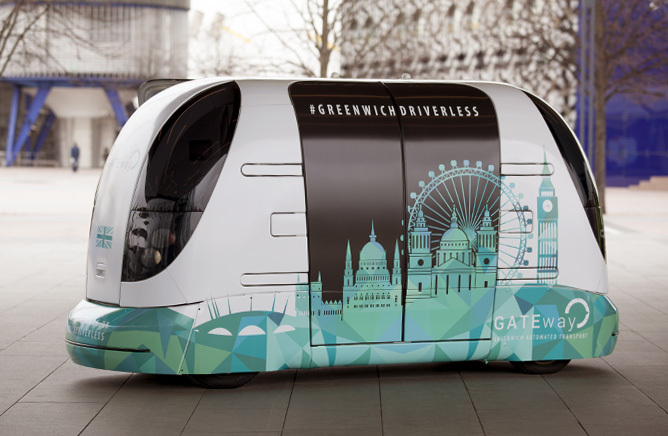 International Trade Minister Mark Garnier has signed a new agreement that will pave the way for a £30 million project to supply South Korea with ‘autonomous electric pods’ – as known as self-driving vehicles – using UK expertise. During a visit to South Korea to strengthen trade and investment ties, the Minister signed a UK-Korea deal on ‘joint automotive collaboration’ for the UK to provide the driverless vehicles. In one of the very first commercial orders signed for the export of the vehicles anywhere in the world, Midlands based car manufacturer Westfield Sports Cars will supply the pods to North Gyeongsang, a South Korean regional government. The UK has a strong automotive trading link with South Korea and the number of cars exported to the country has increased five-fold, making it the UK’s eighth largest export market outside of Europe – up from 16th in 2009. South Korea has ordered five of the autonomous electric pods for initial testing with further option on 195. The project could provide millions of pounds worth of business for UK companies. The UK is South Korea’s fifth largest foreign direct investor, and more companies than ever are keen to expand their operations and invest in country. The UK also attracted more foreign direct investment projects than ever before (year 2016-17). With more than 2,200 projects recorded, the post-referendum figures show an increase of two percent on the previous year. Later this year, the Department for International Trade will launch one of the South Korean Embassy’s largest ever GREAT campaigns – focused on the automotive sector.